View of Times Square looking north to Broadway and 7th Avenue. 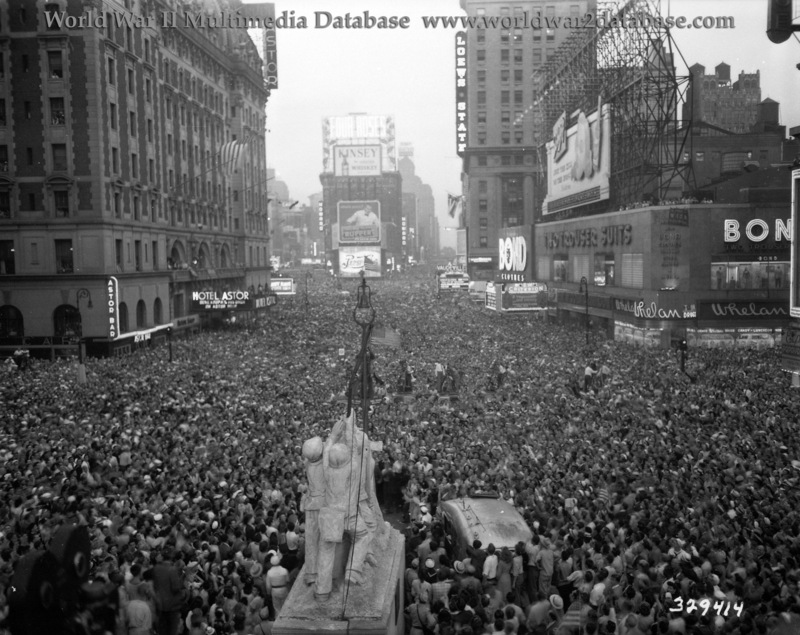 Hundreds of thousands of people gather in Times Square to wait for news of the Japanese surrender. Note line of film camera trucks in a line in the center of the photo; statue of Iwo Jima flag raisers; film camera in lower left. The marquee for the Hotel Astor had an NBC television crew shooting live video from it. Dozens, perhaps hundreds, of photographers circulated around the crowd. The euphoria of the victory over Japan led to partying long into the night.